The Declaration of Russian State Sovereignty was adopted on June 12, 1990. A new period of history of the country and reorganization of its every state institution began at that time. Notably, education and social security were the first testing ranges for drastic modernization of the socioeconomic structure of new Russia. The Federal Law “On State Pensions in the Russian Federation” was adopted already on November 20, 1990. That law set forth the formation of a new type of the pension system in Russia, fully autonomous from the union budget of the USSR that ceased to exist in the end of 1991. The new Pension Law of Russia was quite radical for its time, considering the acute political and socioeconomic crisis that took grip of the entire post-Soviet space. The entire system of personal, sectoral, regional and other social benefits and differentiated pension supplements was terminated. A single pension system of Russia was established in its place. Article 1 of the Law “On State Pensions in the Russian Federation” declared “labor and its results” as the main criterion for differentiated terms and norms in the pension system. Hence, only two types of pensions – labor and social – were established to replace the former multifaceted and multilevel pension system. All foreign citizens (including residents of other republics of the former Soviet Union) and stateless persons temporarily or permanently residing in the Russian territory were entitled to pensions on a common basis with citizens of the Russian Federation. At first, the pension system in Russia worked under the Soviet-era distribution scheme. The pension budget was made of deductions from the total wage bill of enterprises. Yet the shift to a market economy which was accompanied with high unemployment rates and bankruptcies of many large (budget revenue generating) enterprises in the early 1990s made it impossible to support the consolidated pension system. In order to meet its social commitments, the government had to find better fiscal mechanisms adjusted to the new economic realities. A new financial institution, the Pension Fund of the Russian Federation (PFR), founded on December 22, 1990, was entrusted with those tasks. The country created its first autonomous off-budget system to fund social benefits and to provide sources of pensions. 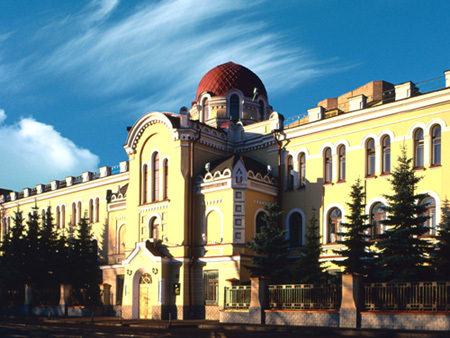 Offices of the Pension Fund of Russia opened in every constituent territory of the Federation in 1991-1992. PFR money was formally separated from the federal budget but remained property of the Russian Federation. Such a structure of pension funds management was uncharacteristic of foreign pension models but it played an important role in the development of the social security system in Russia. Inter alia, it provided a certain degree of security to pension funds during periods of financial and economic instability. The first PFR budget was formed against the backdrop of a severe non-payment crisis. Thus, one of the first moves of the new financial institution was the borrowing of 6.6 billion rubles from commercial banks. By doing so, the Pension Fund solved the problem of union and republican budget debts on pensions and social benefits in 1991. Already in the first stage of its activity (1991-1994), PFR managed to stabilize the pension system despite multiple difficulties. The number of Russian pensioners grew as creative professionals, clerics, sole proprietors and other categories of working people who were not included in the national pension system before 1990 for various reasons qualified for pensions under the new terms. Plummeting macroeconomic indicators and a surge in inflation rates in the first half of the 1990s drastically reduced purchasing capacity of the population. Seeking to prevent poverty amongst pensioners, the Russian government decided to regularly increase pensions, prioritizing support to disadvantaged citizens. A fixed-rate compensation for all pensions comparable with the minimal old age pension was introduced in November 1993. Real incomes of pensioners grew as a result. Pensions in Russia were growing more rapidly than wages already in the beginning of 1994, and an average pension was higher than the pensioner’s subsistence minimum. Besides, holders of labor and social pensions for the first time ceded their ‘leadership’ amongst poorest Russian citizens to single parents and families with many children. Modernization of the social security system and a rise in living standards of the most disadvantaged citizens became a primary objective of social reforms held by the government with the direct participation of the Pension Fund of Russia. A series of drastic pension and social security reforms implemented in Russia over the past 25 years significantly broadened functions of the Pension Fund. In addition to paying labor and social pensions, the Pension Fund of Russia collects insurance contributions to the mandatory pension insurance system, pays all types of benefits to benefit holders and poor citizens, issues state certificates of family (maternity) capital to every family giving birth to a second child or more, implements the program of state co-funding of pensions, forms, invests and pays funds of the pension cumulative part to social security system participants and executes many other functions. In 2017, the pension and social security system in the Russian Federation involved over 43 million pensioners or more than half of the economically active population of the Russian Federation (over 76 million people). Approximately 16 million people joined the state pension co-funding program. More than 7 million families with children received family (maternity) capital certificates, and over 90% of them used the lump-sum payment (equivalent to approximately $10,000) on the improvement of their living conditions. Under international agreements, the Pension Fund of Russia pays pensions in 109 countries. Most recipients of Russian pensions in foreign countries which have signed pension agreements with the Russian Federation live in the Republic of Belarus, Latvia, Bulgaria, Estonia and Ukraine. Amongst countries which have yet to sign such agreements with the Russian Federation, most Russian pensioners live in Germany, Israel, the United States, Canada and Finland. The reform of the pension system in the Russian Federation is far from being complete. The Pension Fund of Russia started the implementation of a new long-term development strategy of the Russian pension system in 2013. The major target of this strategy is the development of a three-level model of the pension system based on mandatory pension insurance, corporate pension systems and voluntary pension insurance. The model, which is being introduced in Russia since January 1, 2015, can provide the best balance of the national pension system in the long-term prospect.